The 2016 Beijing Auto Show is opening its gates on 25th of April and a lot of carmakers are already previewing their hottest rides in teaser images or videos. 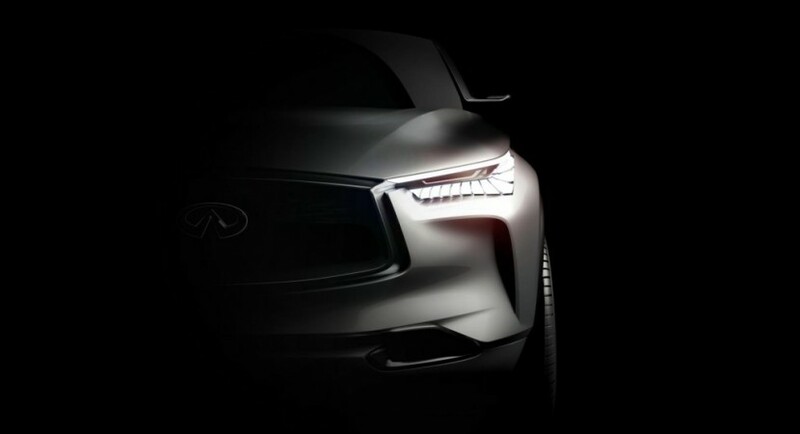 Infiniti is also preparing the QX Sport Inspiration model for the event, but until its official debut, the carmaker decided to play a little bit and released a teaser image which shows the left front headlight of the car. All Infiniti models are extremely evolutionary in terms of design and the upcoming QX Sport Inspiration will not be different, the model coming with the carmaker`s “Powerful Elegance” design philosophy, depicting an extremely aggressive and muscular wide front grille. Still on the design area, the Infiniti QX Sport Inspiration will come with full LED headlights, massive front fenders which denotes aggressiveness, along with side cameras, sculpted hood and vented front bumper. The prototype might also give away extremely large wheels and plastic body cladding. Previous reports also state that the Sport Inspiration prototype might lead the way to the new-gen Infiniti QX70, which might be officially released on the market somewhere in 2018. Unfortunately, this is all we have got so far about the Infiniti QX Sport Inspiration. More details will be revealed at the 2016 Beijing Auto Show.